Like they say, desperate people do desperate things. With only $10 million left in MoviePass’ piggybank, the movie subscription service’s parent company -- Helios and Matheson -- is asking its shareholders to weigh in on a plan that could increase the stock by as much as 500 times. The company’s proposed one-for-500 reverse stock split sent the shares tumbling out of control on Monday to little more than a penny in value -- a far cry from the stock’s 2018 high of $2,442 in February. Helios and Matheson’s proposed plan was outlined in a new document filed Monday with the Securities and Exchange Commission, and a vote is set for an October 18 shareholder meeting. A blessing from the shareholders would enable stockholders to swap as many as 500 shares for a single share worth about 500 times as much. If all goes according to plan, the stock price could theoretically move from about its current penny’s worth to as much as $10, which should be sufficient to keep the stock trading on the Nasdaq stock exchange. Nasdaq has given Helios and Matheson fair warning that its stock might be delisted because of its low value. MoviePass has tried this trick before. In July, it attempted to juice its stock from 8 cents to $21 with a similar move, but stock buyers weren’t biting and the new price fell below $1 in a matter of days, forcing the company to borrow an emergency $5 million to keep things afloat. It was only a year ago when MoviePass was a darling in the subscription model world. Its $10 a month all-you-can-watch deal may have been a homerun for movie lovers, but it couldn’t be sustained when it came to paying vendors and theatres. After its original business model proved itself implausible, the company changed its subscription plans and the movies it made available. 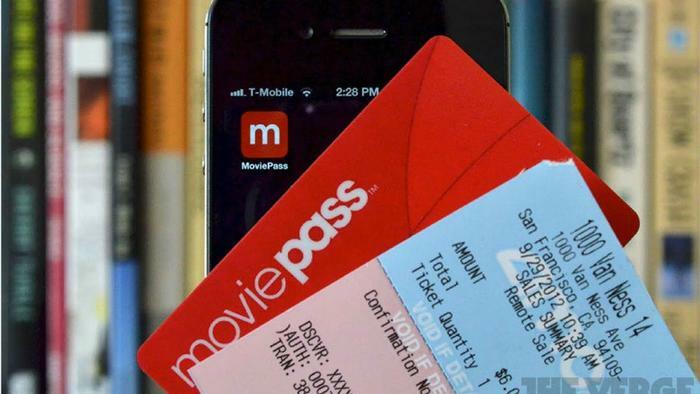 For the moment, MoviePass offers customers the ability to watch three movies per month for $9.95 with restrictions on the number of titles a moviegoer can watch at any given time. It remains to be seen if anyone can pull off a movie subscription model and make it attractive enough for movie lovers to give up being a couch potato with their Netflix or Amazon Prime Video subscriptions. Sinemia, another movie subscription service just announced a $30 a month deal for a movie-a-day at any theatre with no blackouts. The catch there is that to get that rate, a subscriber has to fork over $359.88, a single year’s subscription fee, in advance.